Join in the Coffee Lovers’ Bloghop! 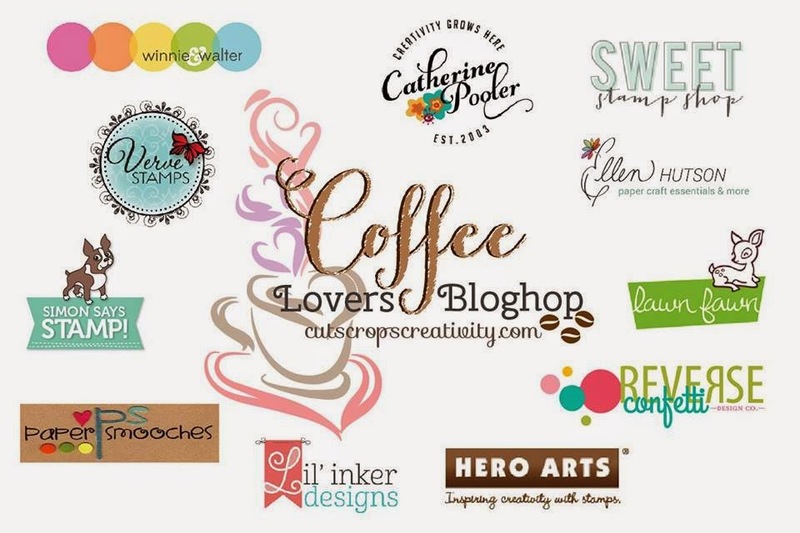 It’s National Coffee Day here in the USA, and I’m happy to celebrate it with a bunch of super-talented caffeinated crafters by participating in the Coffee Lovers Blog Hop! Much like it’s hard to decide what to order at my favorite coffee shop, I couldn’t decide on just one project to share with you today, so I made a card and a tag! First up is my tag! I combined Some Odd Girl Stamps‘ “Mr. 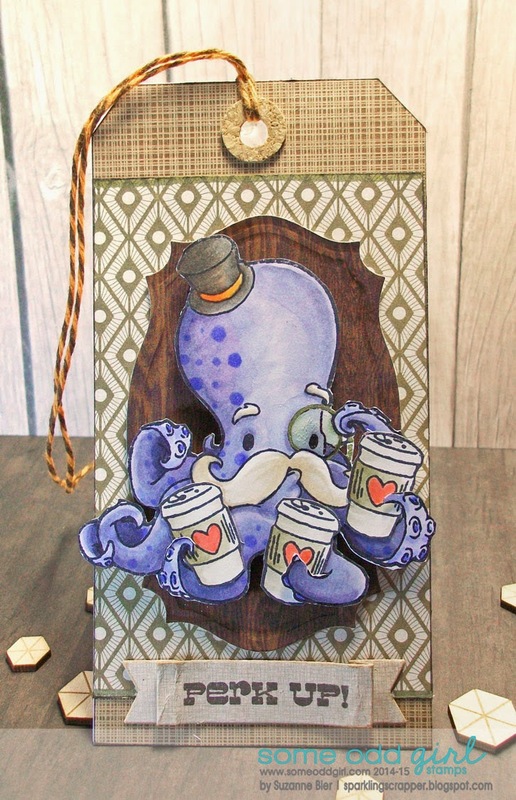 Octopus” with the “Hipster Pets” coffee cup stamp, and a sentiment from the “Breakfast Friends” set with some papers from my stash. I thought it would be fun for Mr. Octopus to use all of those arms of his to hold not just one or two, but THREE cups of coffee! After coloring the image and fussy-cutting it, I cut along the lines on his arms and adhered the cups in place. 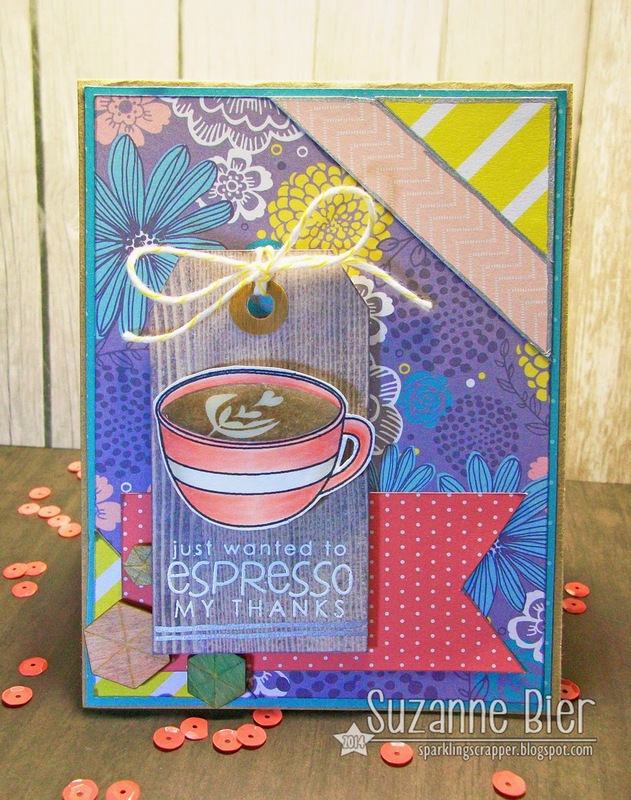 Next up is my card, which features Reverse Confetti‘s “Be A Barista” stamp set. I had fun figuring out what fancy latte design I’d use, and decided on the one with the hearts since it’s a sweet thank you card. I had several different shades of brown ink, but none of them looked quite right, so I inked the stamp with Memento Toffee Crunch, then with Memento Desert Sand. The blend of the two inks worked perfectly! I love the color! Hope you’ve enjoyed today’s projects! Grab a refill of coffee (or tea) and head over to Chaitali’s blog, Cuts Crops Creativity for the full hop list! Thanks for stopping by today! Some Odd Girl Stamps "Digi Me" Contest! 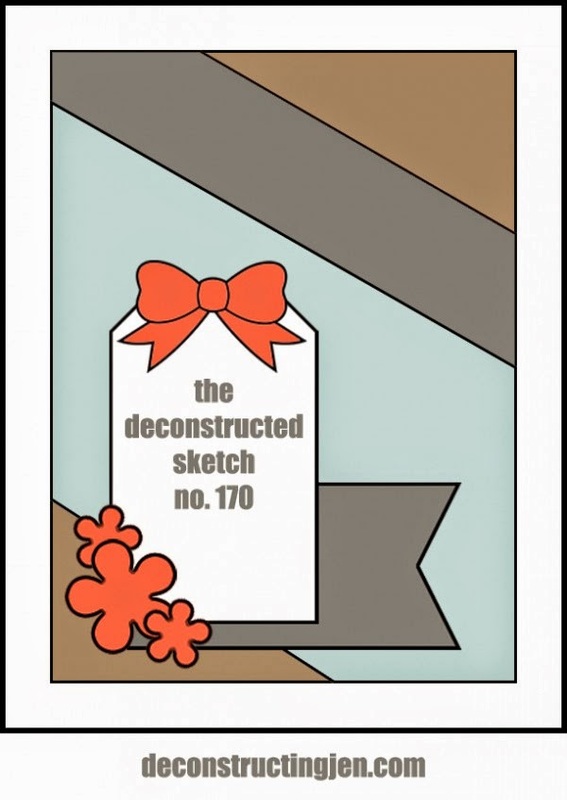 New Digi Tuesday at Some Odd Girl Stamps! Such lovely creations! I love the octopus! both cards are cute…that first one makes me smile! Such cute projects! Love the colors! So much awesome inspiration on the Coffee Lovers Hop! How brilliant! Love your creativity Suzanne! Beautiful creations! I love SOG stamps…they look like so much fun to color. The combination of patterned paper is awesome! I love them both but I gotta tell you, that TAG had me smiling and chuckling! Your coloring skills are always amazing! Your little tag with the octopus is cute. I love the bright brilliant colors on your second card. Great coffee crafting projects.